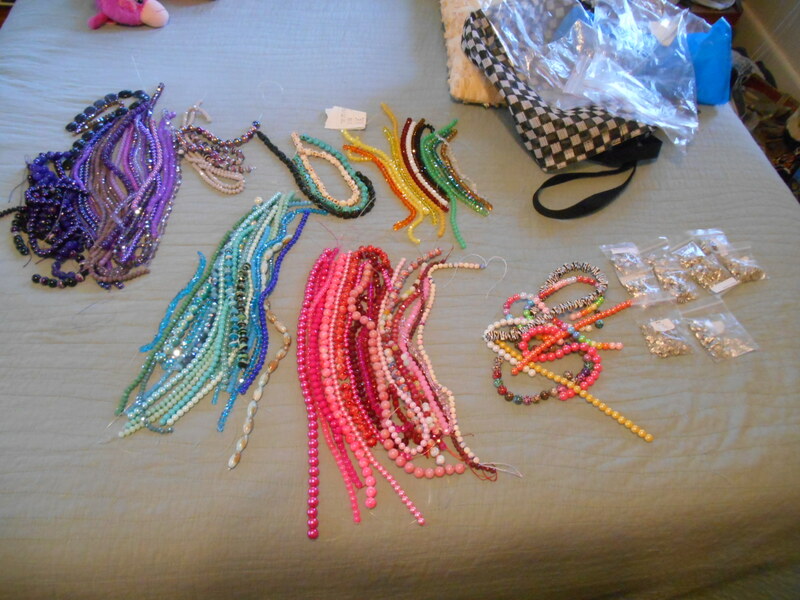 It was bead market time again up in Fort Worth Texas. It comes around between Dallas and Fort Worth a few times a year and I have not been able to make it up for a over a year with our moves. I was so excited to get to go today !! 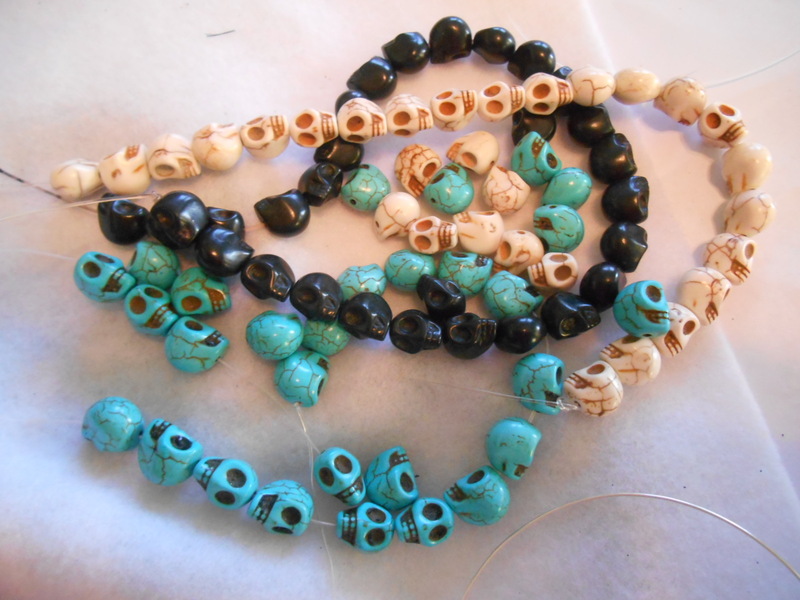 You can get amazing beads for as little as a buck a string and then way on up but even the expensive ones are much cheaper than you could get anywhere else !! They have stones, crystals, seed beads, glass beads, acrlic beads, charms , findings and some fun odd stuff like game pieces and funky stuff you see in magaiznes. The deals are really amazing and you have such a wonderful selection. My hubby and two of our grand daughters were able to go shopping. 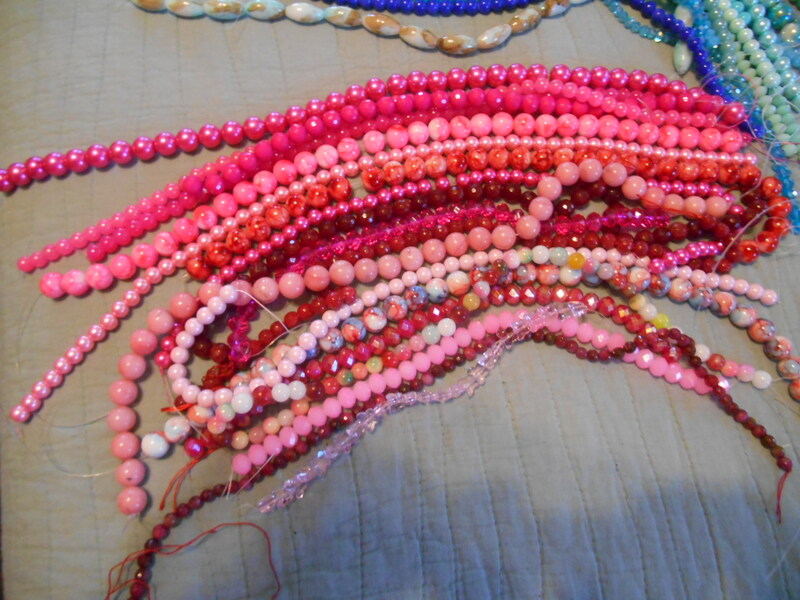 I had made a deal with my husband to only spend what I had earned in the past month or so and I stayed way below that , brought cash and left the bead market with a buck in my pocket !! He has never complained no matter how much I spent at past Bead Market shopping excursions, so when he asked if I would try to spend what I have earned I was happy to do that !! Here is my new stash !! I had a lot of purples and blues to buy for my customer today, we have a lot of projects left to do in purple and some n blue for another room when the purple is done !! 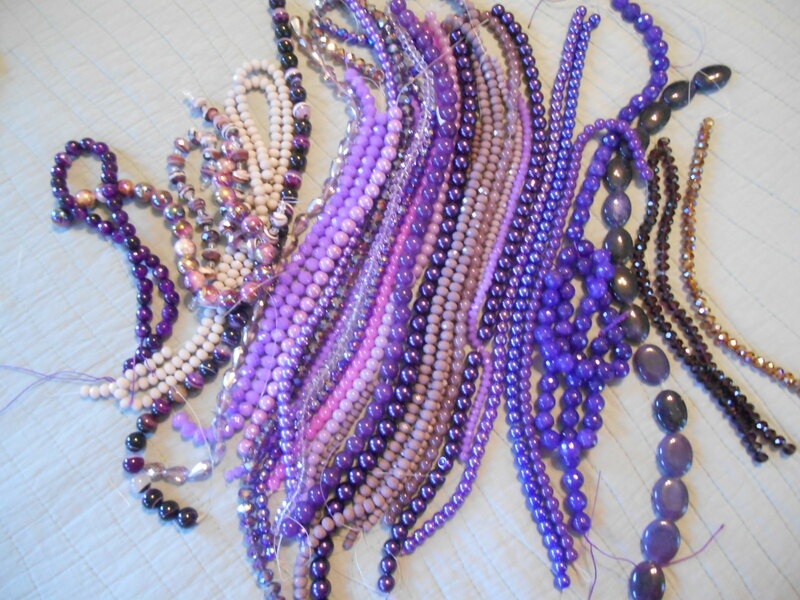 here are the stashes for her projects and I will have a lot left when she and I are done, I am adding to an already huge bead stash !! I just wanted to find some new ones so we have more selection. 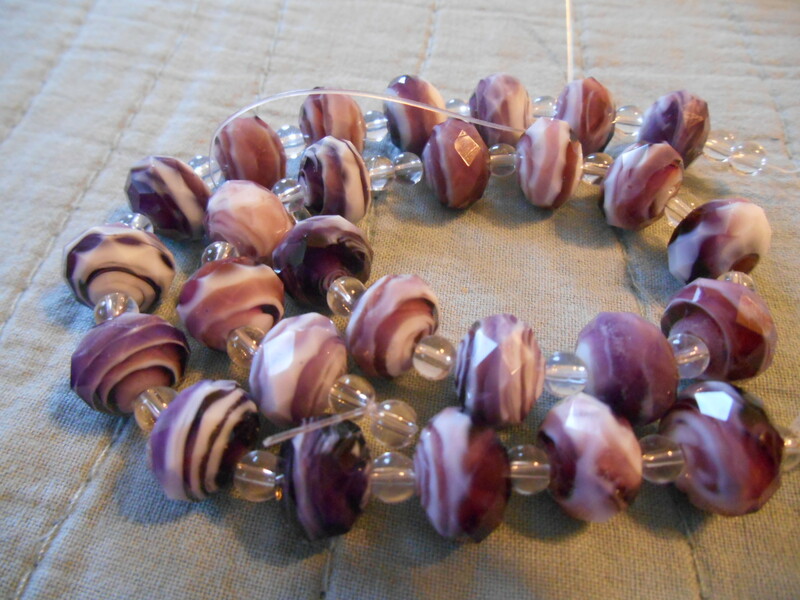 purples, I know she loves swirls and stripes and did my best to find some today !! I love the ones toward the bottom that look like mint chocolate chip ice cream !! 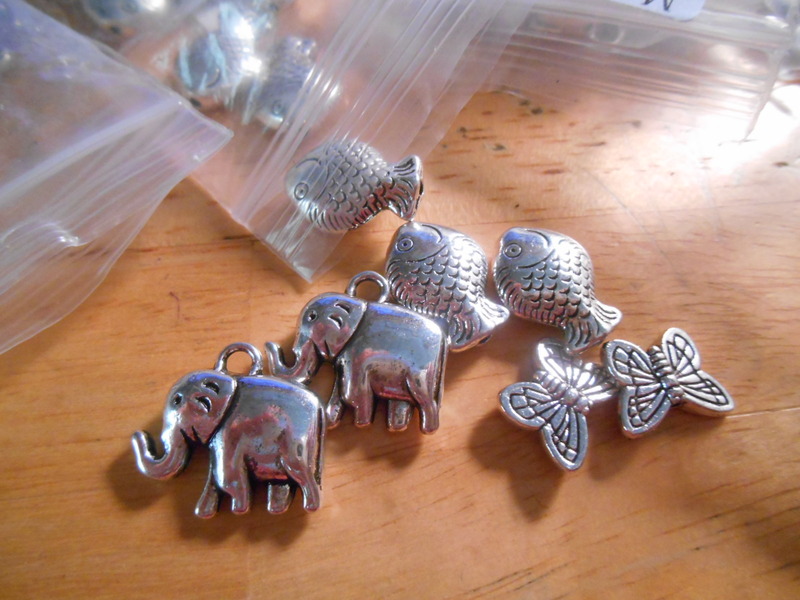 six bags of my favorate elephant charms, everytime I made something with them they sold, and I could not find them anywhere, I got them for 2.50 a bag amd got some cute fishes and some butterflies , a bag of each . some other colors I picked up today, yellows are hard to find so I was excitedf to find some new ones, a pretty orange and red and some golds , browns and greens, a white and black and then some clear butterflies, got the butterflys in light blue and pink as well. 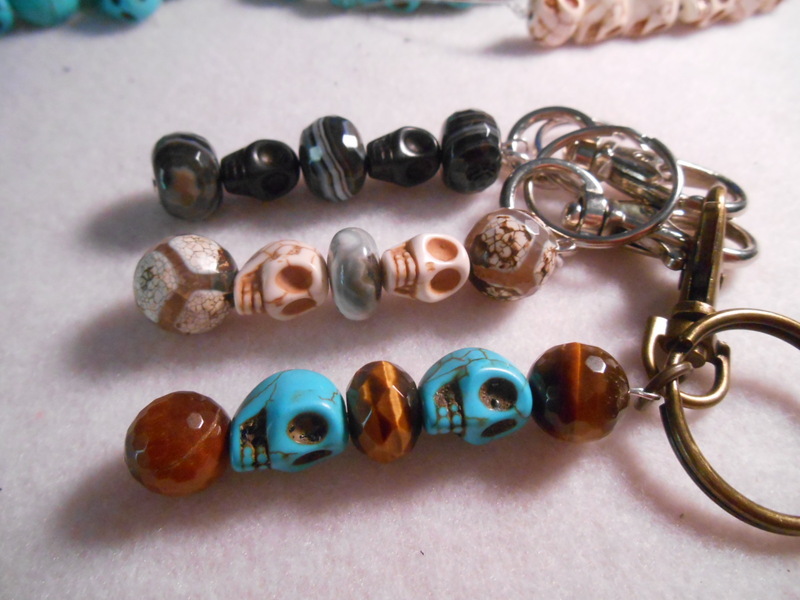 two of each color skull have already been claimed and made into key chains for our oldest son !! He picked out the beads and we made them on the spot, it was fun, he is here on a visit, so nice timing !! he picked all the beads and then I put it together for him, he was thrilled to have three new key chains to alternate !! I never get to make too much for our sons, that was pretty fun !! 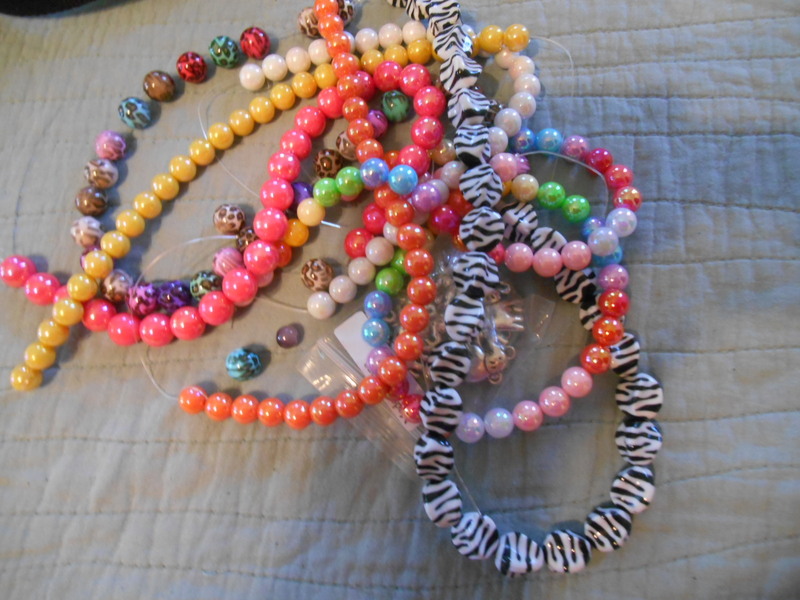 Even Army Sgts like beads, lol !!! All in all, it was a very beadiful day !!! If you live in or are in travel distance from these areas, Shreveport , Oklahoma City ,Tulsa, San Antonio, Austin, Houstin, or the Dallas , Fort Worth area, they move around those cities through the year. 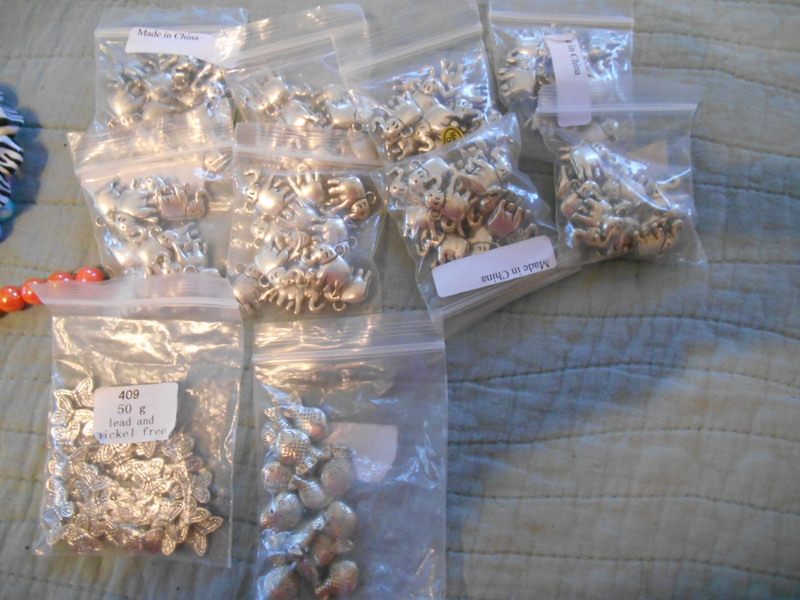 Be sure and check it out, I get no referrel fee, have never met or spoken to the people who run it, but thier web site is, http://www.thebeadmarket.net . 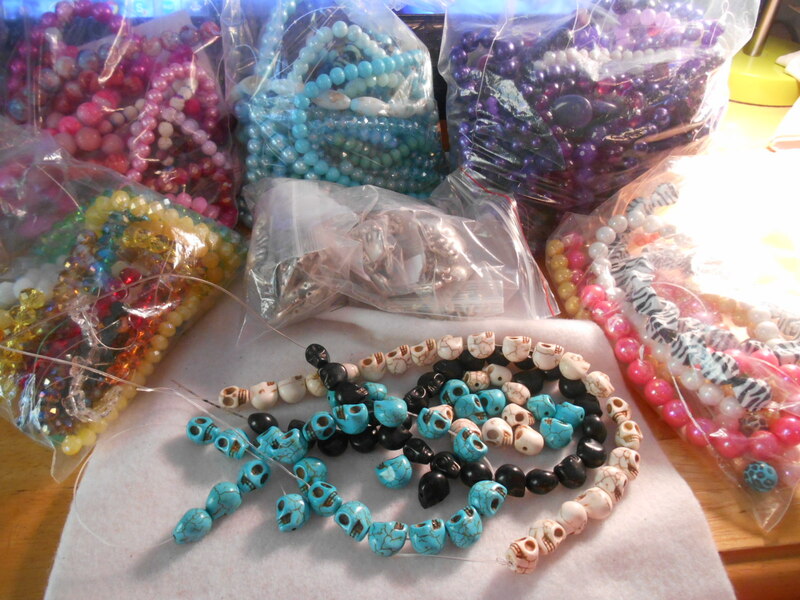 It is a great place to buy beads, meet great artists, and just have fun if you love beads. You too can bring home a stash. Nothing like a room full of bead tables. There are some talented bead artists out there too. Some of the artists selling thier work or patterns were beyonedamazing. three dimensional seed bead pieces, stuff that is beyond anything I have ever seen and never seen in person before, only in magazines !! IT was a fun couple of hours !!! 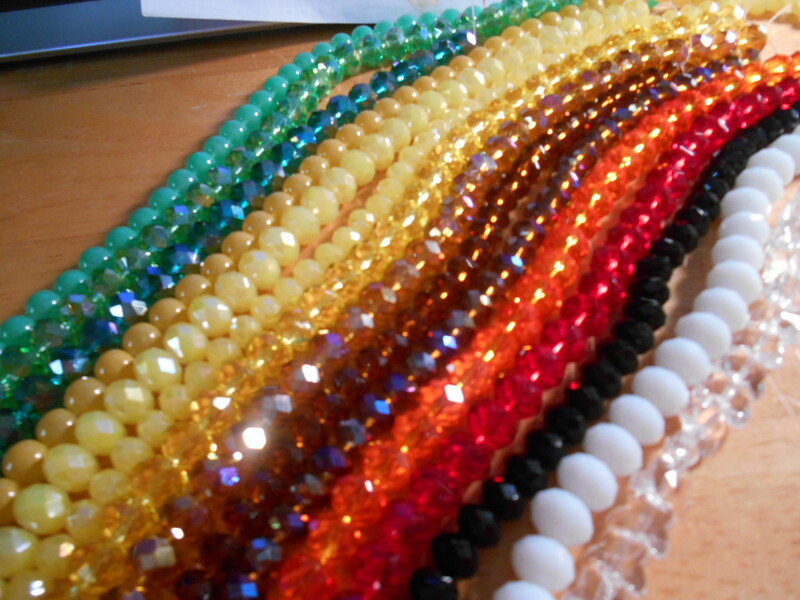 ← Beading the day away !!! It really is Robin, I have having a blast !! It really was fun !!! It is amazing how quickly the money is spent however, lol !!! 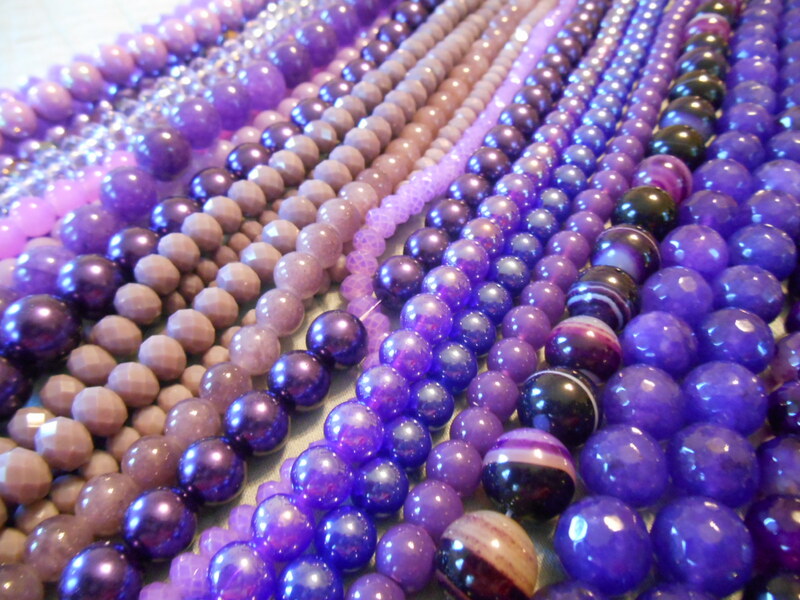 Wow what an amazing haul of goodies, those purple banded stone beads are gorgeous. 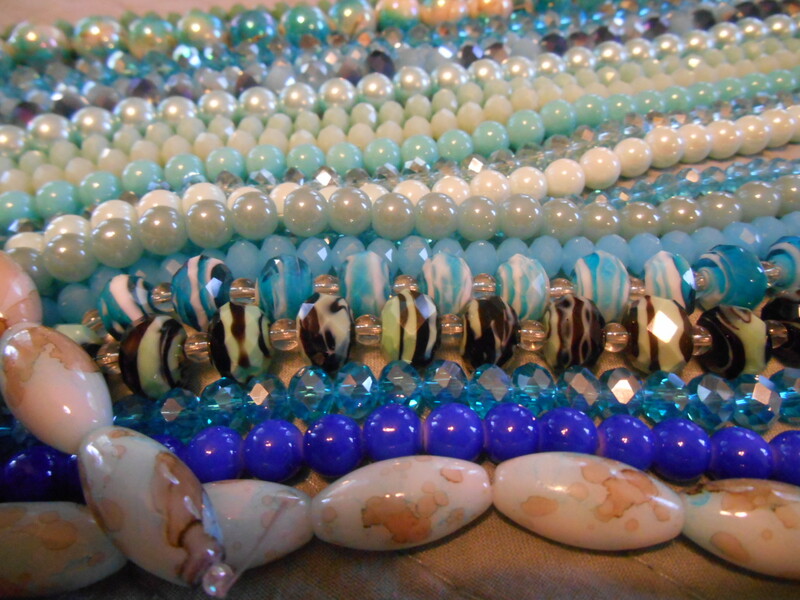 I can only imagine how amazing your bead market is, I hope you have fun with your new stash! Thanks !!! 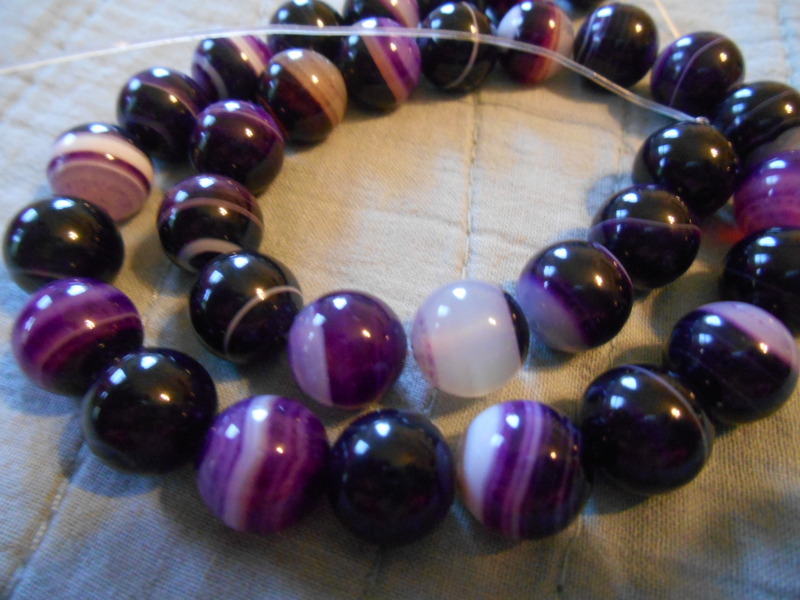 I am very excited and most of the purples and blues will be used by a current customer I am workiing with on a very large order !! She is very creative and one room we are doing is all purple so she is very excited with the new stash of purple and my mother in law fell in love with those stripped stone ,so some of those will be for a project with her !! IT was hard to stay to a budget but I did it !!! What a great bead find! You got a wonderful selection of colors, I’m jealous! 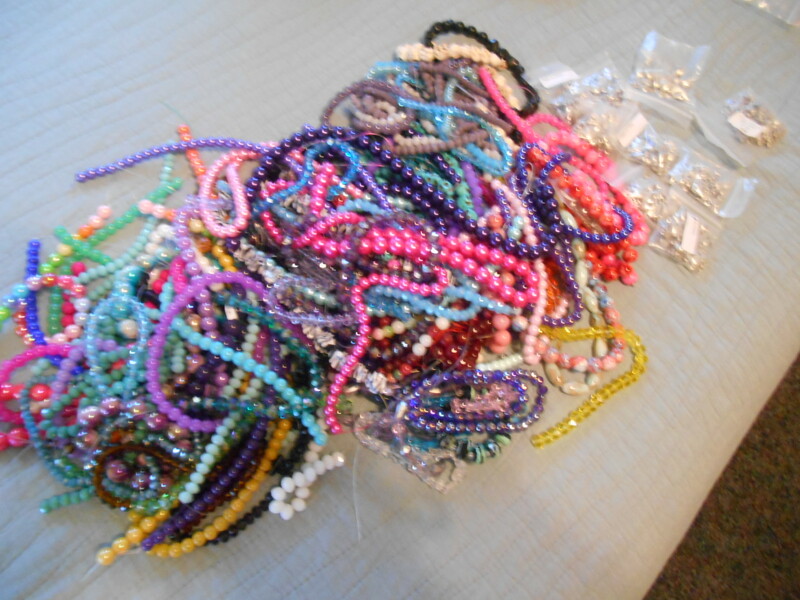 I’m also glad to see I’m not the only one with a bead problem! 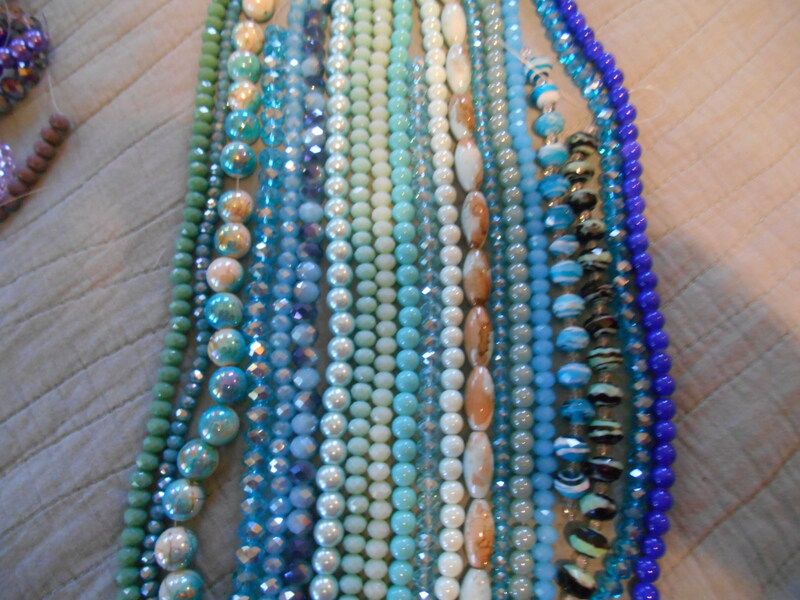 It is wonderful to meet a fellow bead addict !! !